The gentle foxing and light distressing of this aged mirror adds a soft and luxurious feel. Smaller panels of mirror form a rectangular border around the central panel, creating a subtle and elegant design. 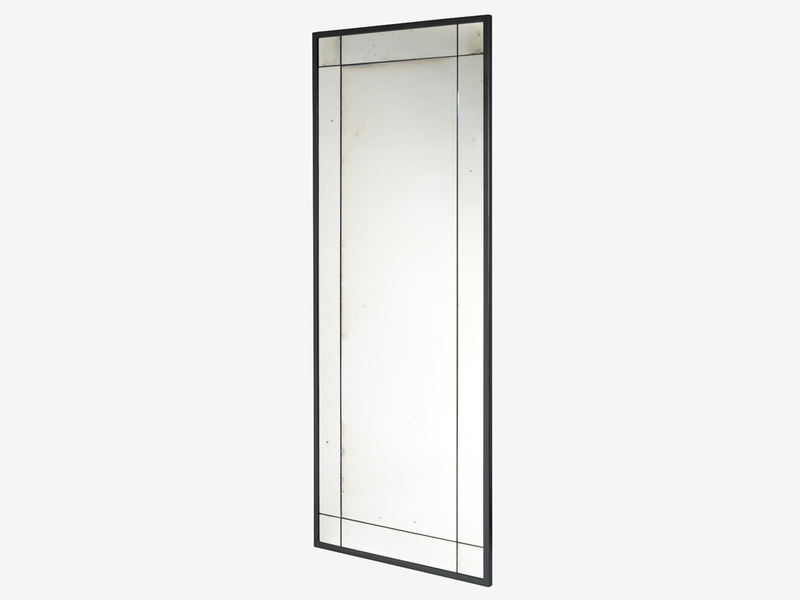 The mirror is framed in a patinated grey steel.